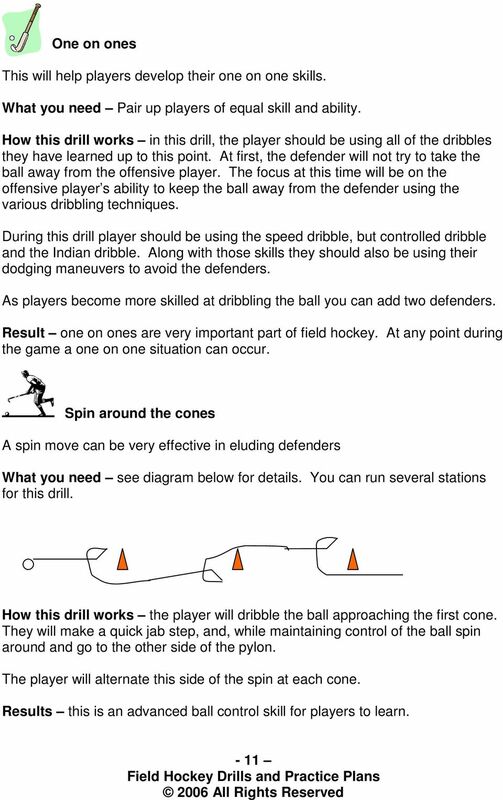 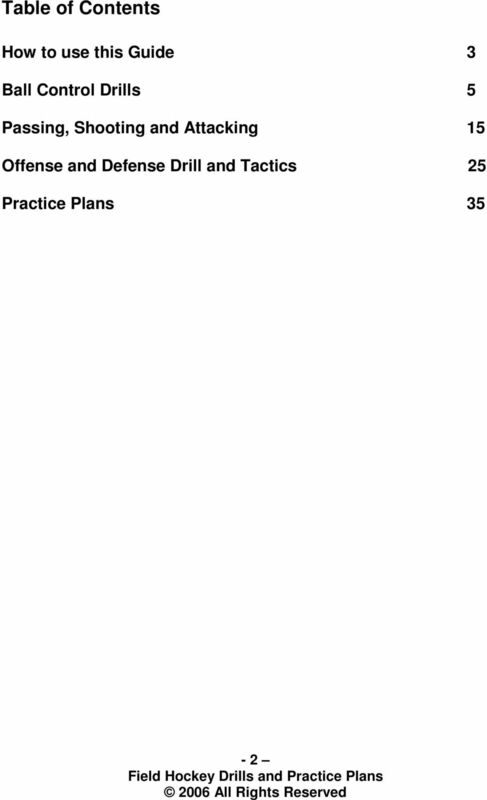 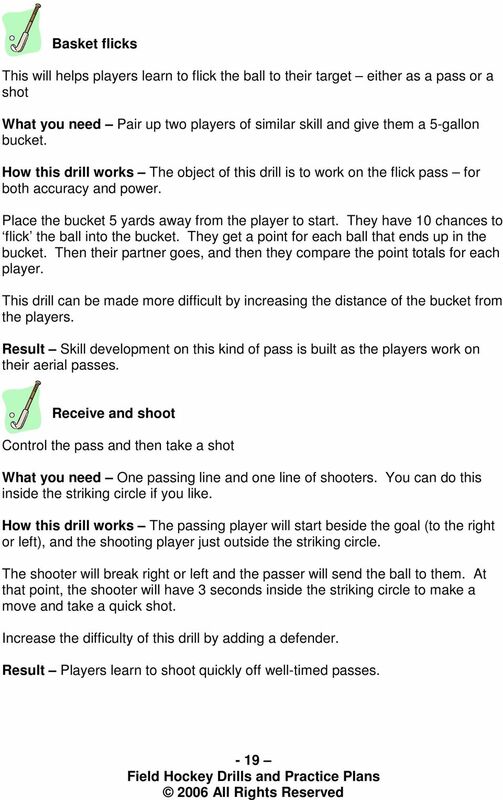 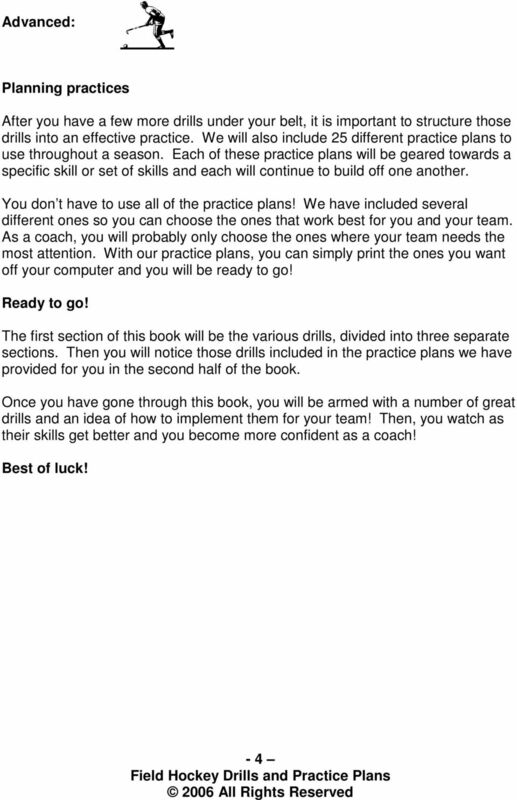 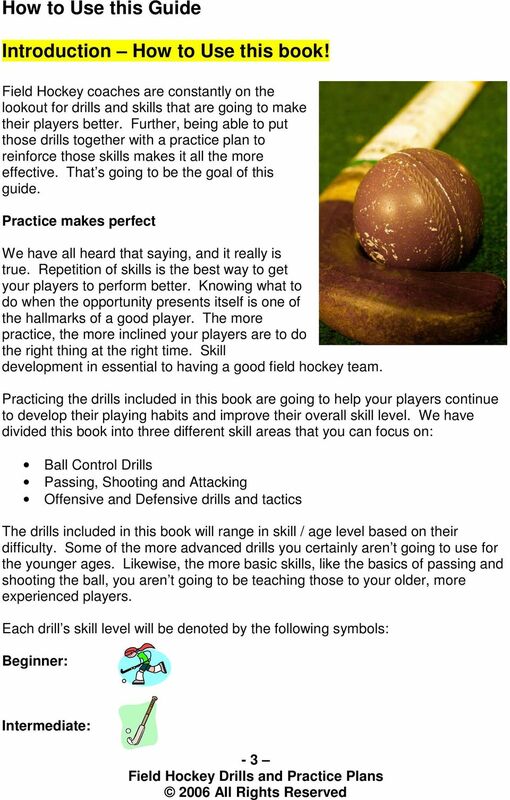 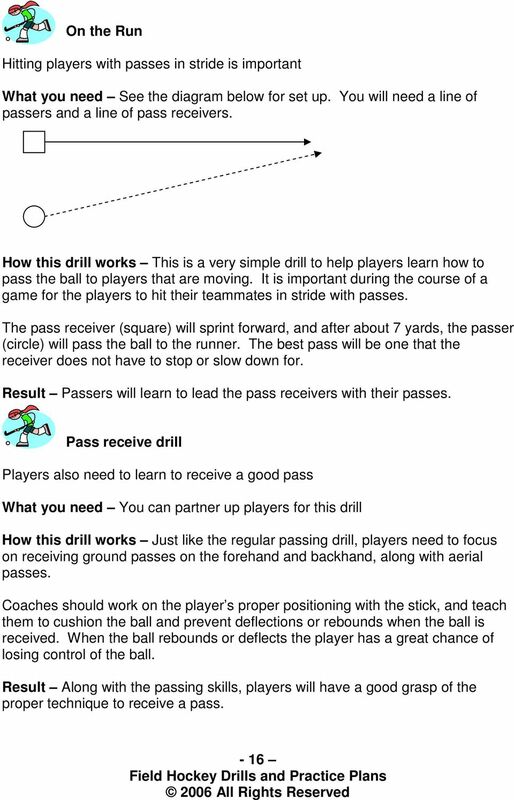 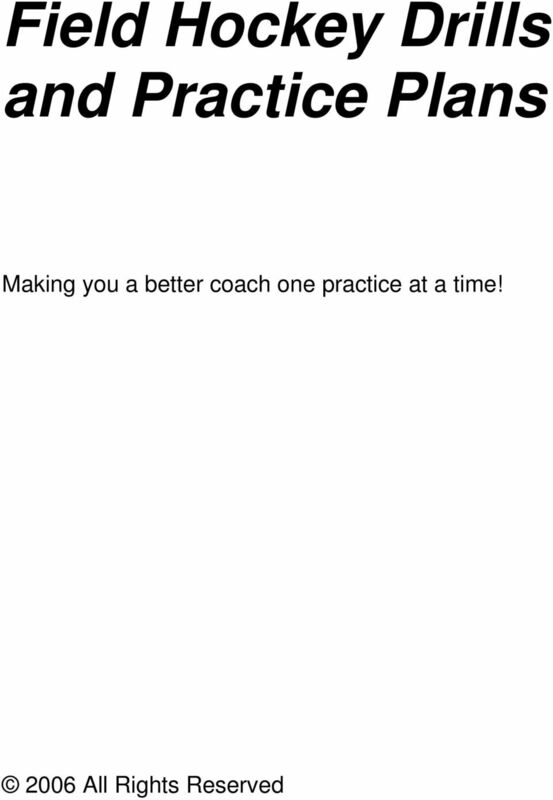 Download "Field Hockey Drills and Practice Plans"
1 Field Hockey Drills and Practice Plans Making you a better coach one practice at a time! 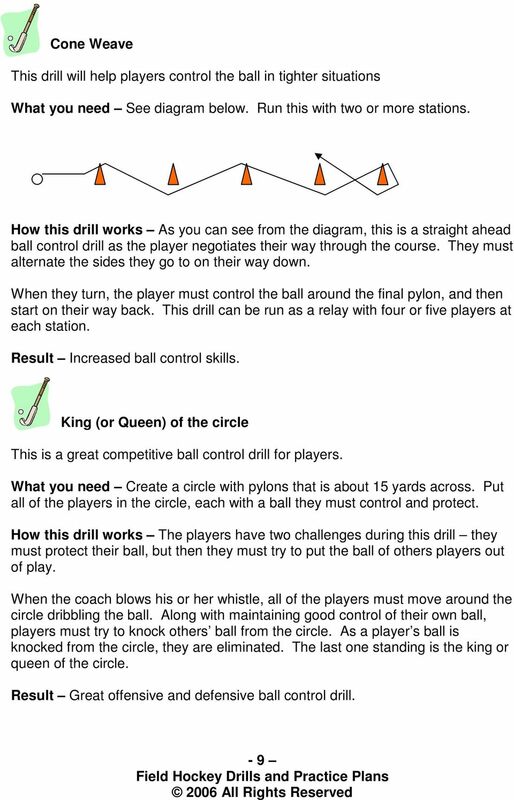 JTT SAMPLE LESSON PLANS FOR INTERMEDIATES See for more resources. 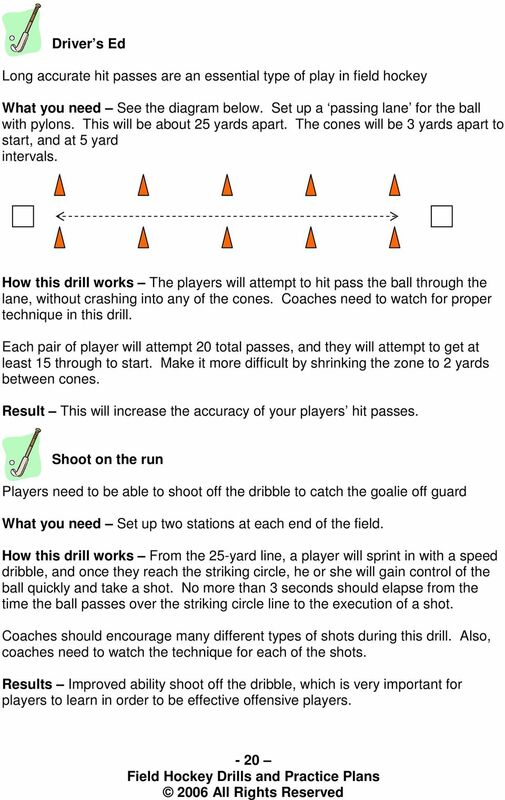 How To Assess Soccer Players Without Skill Tests. 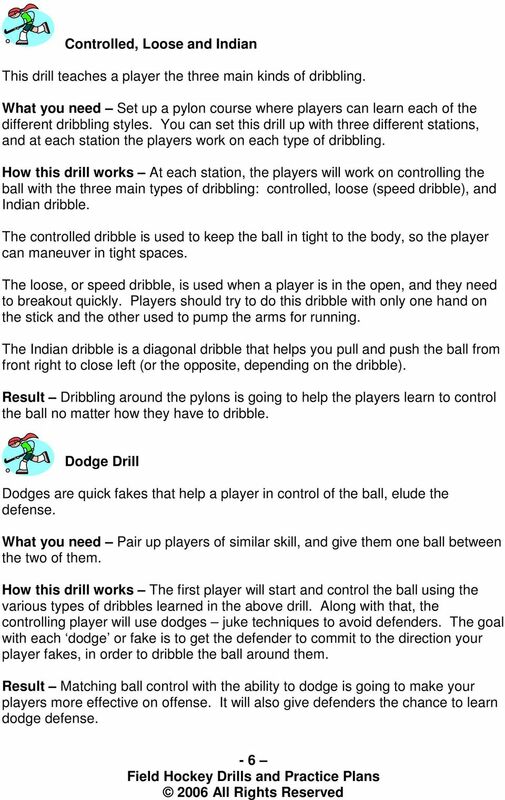 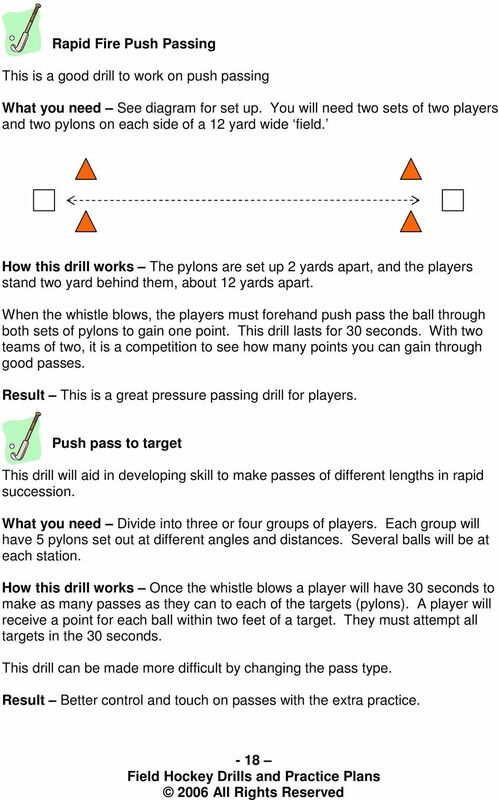 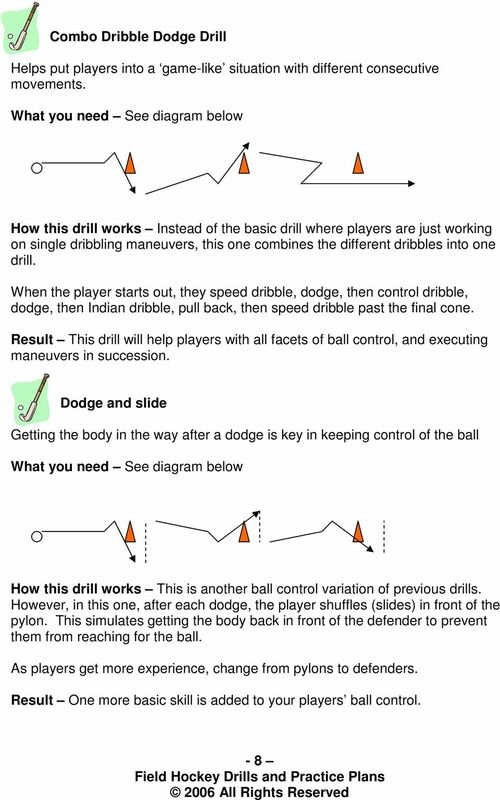 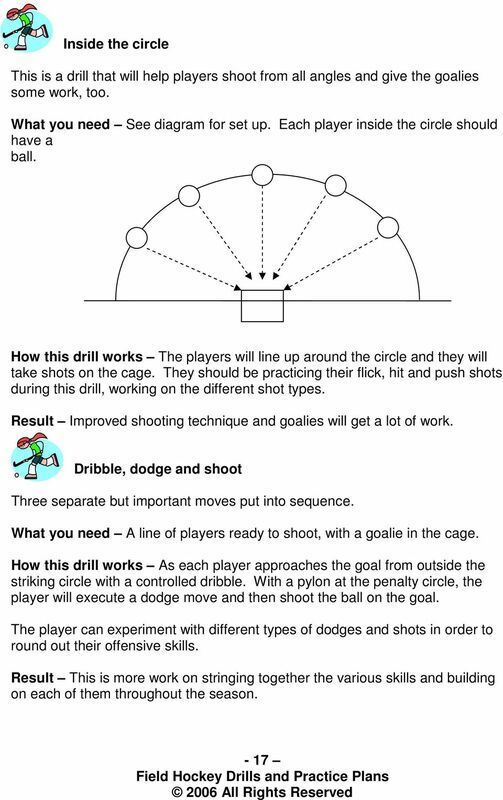 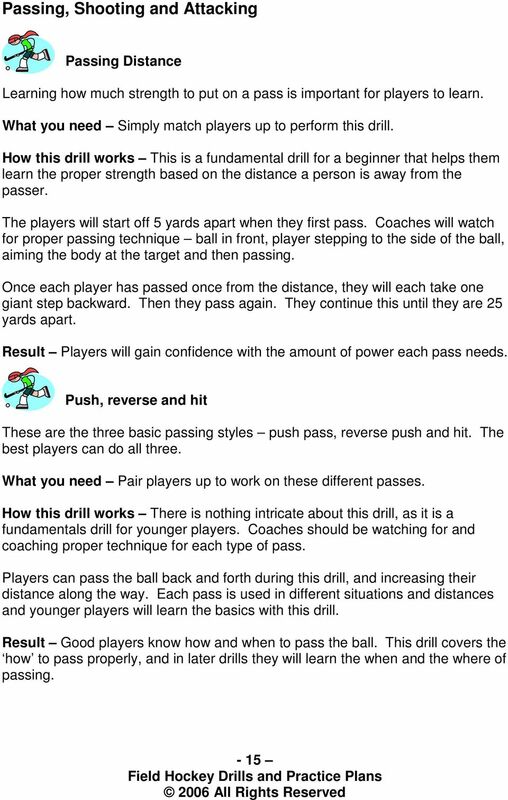 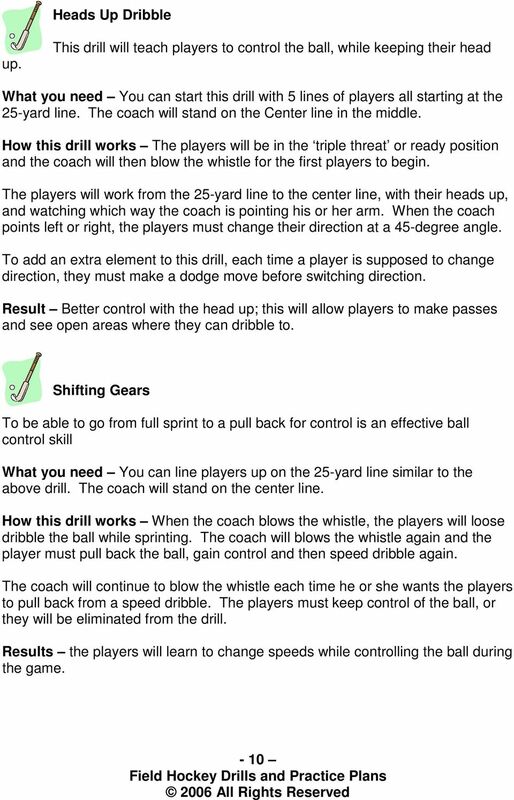 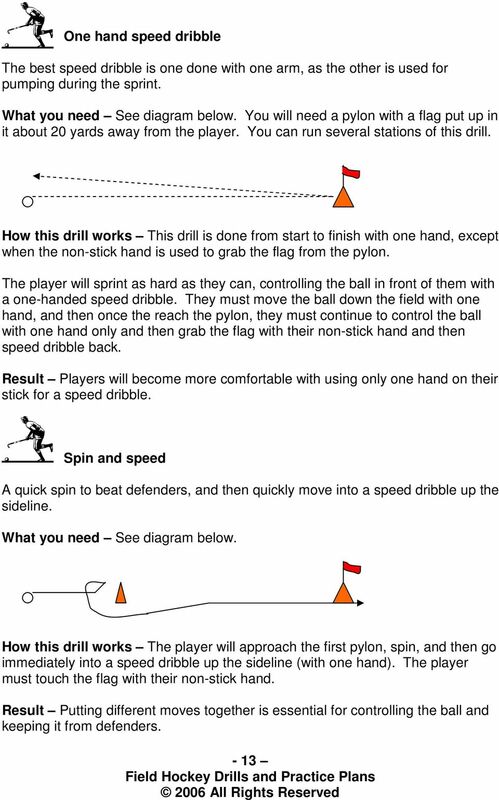 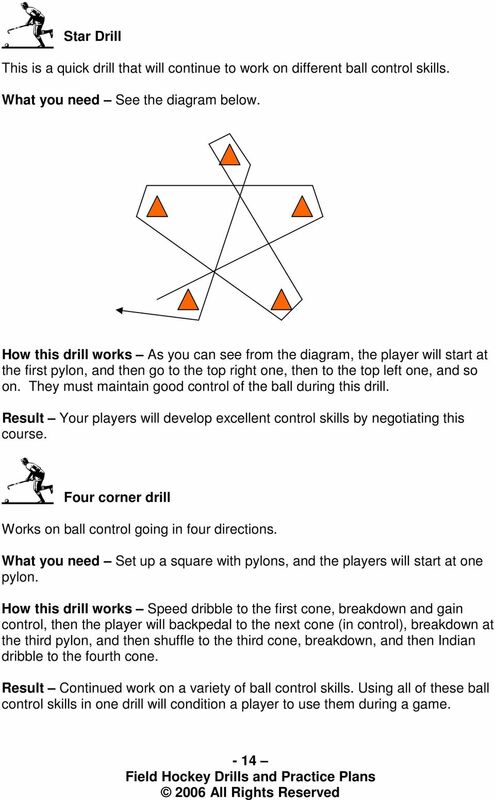 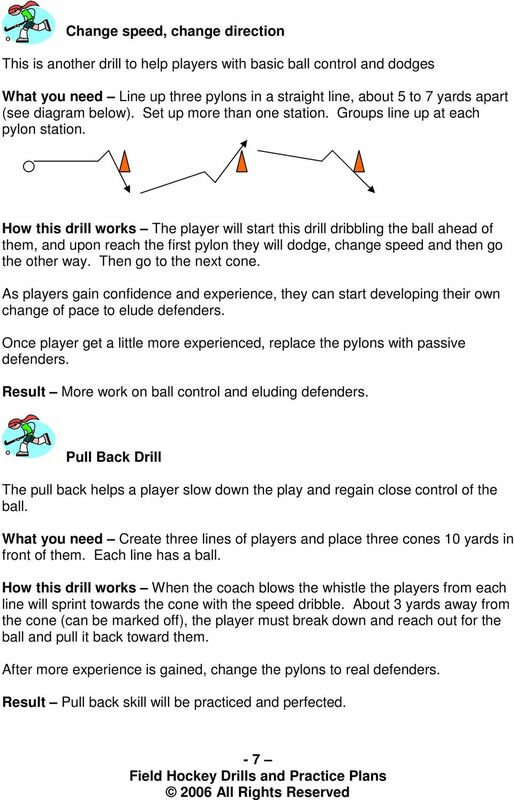 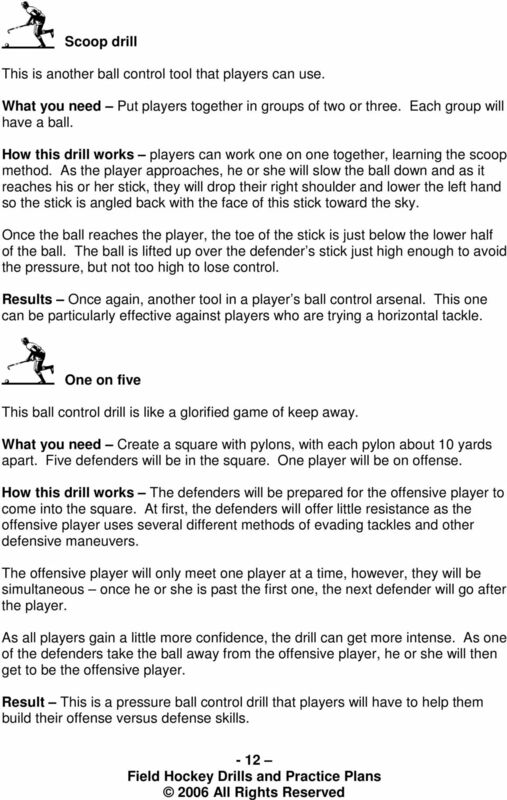 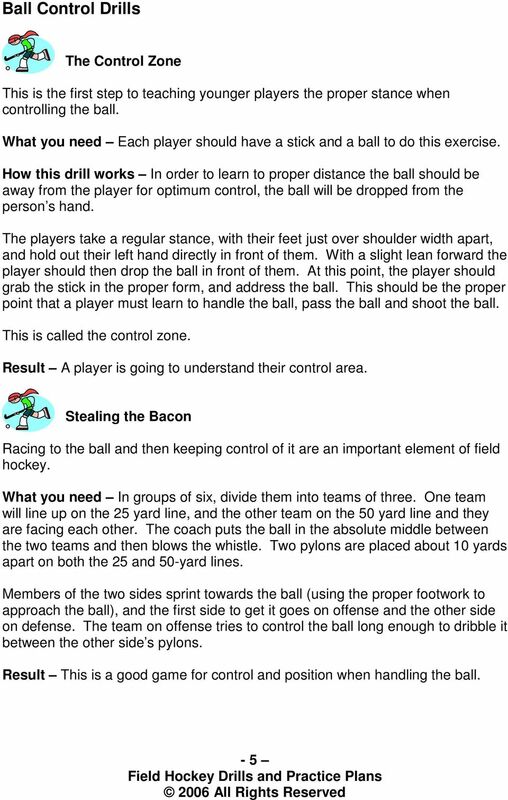 Tom Turner, OYSAN Director of Coaching and Player Development This article was originally created for presentation at the 1999 USYSA Workshop in Chicago.